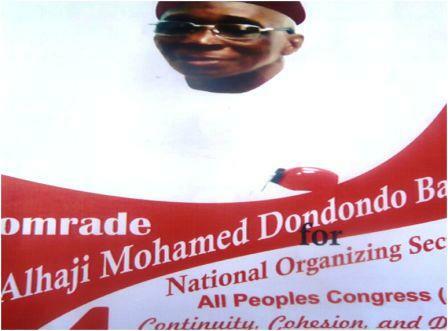 Many people in the All Peoples Congress (APC) party have expressed belief that the position of the organizing Secretary is not strange to comrade Alhaji Mohamed Dondondo Bangura (in photo) though a challenging one. During his tenure, party hierarchy testified that there have been remarkable changes in consolidating the party for the advancement of it work nationwide. He started his stewardship in the APC party as National Organizing Secretary during his youthful age in the National Youth League. In 1967 General elections, a very crucial and rough days for the party, Alhaji Mohamed Dondondo became an active member of the APC party while he was the party’s youth activist. 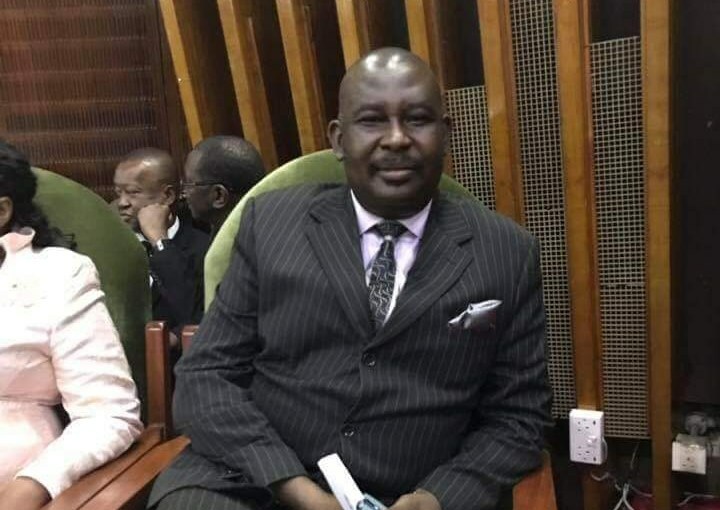 According to findings, when the APC was overthrown by the NPRC Military Rule in 1992 which was the time people disowned and deserted the party, Dondondo Bangura single handedly handled the position of National Organizing Secretary. During the turbulent period of the party in 1995/1996 General elections, Bangura is one among the few members who sacrificed his life and money to reinstate the party through registration. As the then National Organizing Secretary, Dondondo Bangura had been the roaming Ambassador from here to Guinea and beyond soliciting funds and sympathy for the party and played pivotal role for the success of the party with five seats won in Parliament. When he was appointed in 2013 and re-elected in subsequent conventions held by the party to date, he has worked relentlessly to galvanize and harmonize all rank and file of the party regardless of tribe, status or region. Evident of his charismatic style was exemplified in the recent mediation talks within the National Executive of the APC Veteran Welfare Association (APC-VETWA) where he was acclaimed as a peace ambassador among elders of the party. Whilst in our quest to win the forthcoming Presidential, Parliamentary and Local Council elections in 2018, the party consider it expedient to endorse Alhaji Mohamed Dondondo Bangura as the National Organizing Secretary to further consolidate the party and increase membership to victory.